• Unlike regular clocks, these are made to captivate attention. If you have one at your place, the guests can’t help but notice it. • Many of these come with soothing melodies, which obviously have a good effect on you and the people around you. • These are evergreen. You might have seen one at your grandpa’s, but the fact is that they are very much in fashion. We have clocks that feature celebrated tunes, ranging from Westminster to Beatles. Find out what excites you and choose accordingly. You can also get one of the clocks with Christmas songs. If you wish to add a little fun element to your place, you can also choose among clocks that have swinging pendulums, moving characters, and animated lights. Alternatively, if you are specifically looking for a clock for your children’s room, get one that has things which spin and wave. Needless to say, they are going to fall in love with it. All said and done, no matter which of the musical clocks you choose, you’d come home to a happy house! As of now, we have more than 200 musical clocks. Take a look at them, not necessarily all, but yes the ones that catch your fancy, and click for more. If you like what you see, place your order online. For your convenience, we let you select some filters so that you can find the right type of clock for your place. Let’s say you are looking for a contemporary clock that measures anything between 25 and 36 inches, you can set the filters accordingly. We also let you see a full size image. 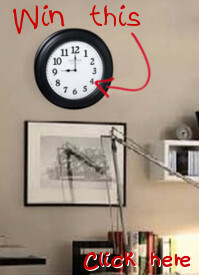 So, make sure before placing your order, you find out how different clocks may look in your living room. To sum up, consider us to be your one-stop destination for musical clocks especially because we offer affordable pieces and in fact do not even charge you for shipping in most of the cases. To know more about us and our products, write to us at sales@clocks247.com. If you wish to call, that’s our number: 1-855-242-0514.